Looking for a property in Vibhuti Khand? Have a property in Vibhuti Khand? Have a good knowledge of Vibhuti Khand? Share it and become a Locality expert. 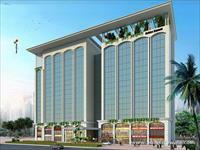 SDR InfraBuild Limited presents SDR Rohtas Summit with Office Space available in Vibhuti Khand.